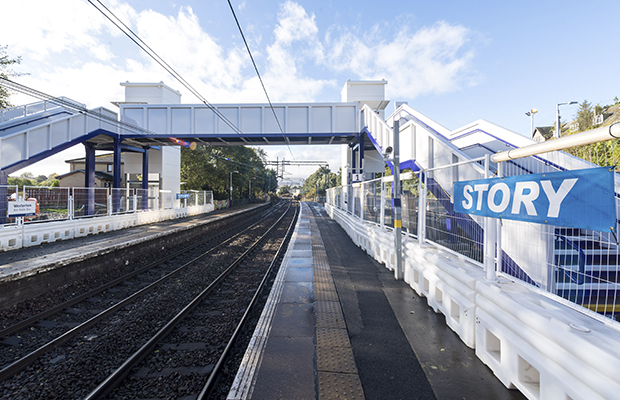 Story Contracting alongside our specialist steelwork fabricator M&S Engineering have successfully installed the new footbridge and lift shafts for the Access for All scheme at Westerton Station. The steelwork installation was carried out on Sunday 1st October during a 54 hour blockade. A station car park closure was also implemented to facilitate the set up position for the 200t crane. Following months of planning, the works were carried out safely and without any accidents or incidents. Well done to the site team in achieving this key milestone on the project.